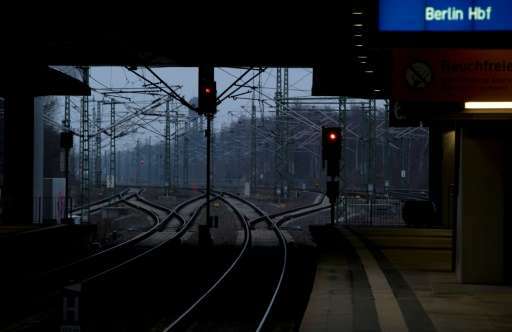 Interior Minister Thomas de Maiziere said the software would be tested with volunteers at Berlin's Suedkreuz station, and if successful would be expanded to other locations and also used for a range of criminal investigations. "We already have video surveillance in train stations, of course. But we aren't able, for example, to put a picture of a terrorist on the run into software that would alert us when he appears in a station," Maiziere said in an interview on the website of the Tagesspiegel newspaper. "If this software proves reliable, it should be able to be used for serious crimes in other places equipped with surveillance cameras," he said. The Tagesspiegel report said the new system was unlikely to run into legal obstacles since its use would be limited to targeting suspects, and so would not infringe upon civil liberties of people not sought in an investigation. Germany has suffered several terror attacks since last summer, including the deadly assault on a Berlin Christmas market in 2016 by a Tunisian who hijacked a truck and rammed into a crowd, killing 12 people. The suspect managed to flee by bus then by train, crossing several borders before being shot and killed by police at a train station in Milan.